When it comes to making you smile, Dr. Gonzalez knows that providing premier dental care requires a team effort, which is why he has surrounded himself with a fantastic staff of highly-trained, experienced, and friendly dental professionals ready to serve you. Every day, they come through our doors focused on giving our patients the smoothest, most stress-free dental experience imaginable. They’ll make sure you’re always prepared for your appointments and that no question goes unanswered. Read on below to learn a little bit more about our wonderful team. Yvette first joined our team seven years ago, and she has nine years of experience in dentistry overall. She loves helping patients reach their dental goals! Yvette is from here in San Antonio, and she and her husband have three daughters. Her hobbies outside of work include spending time with her family, baking, and cheering on the Spurs. She also volunteers over 100 hours of her time every year, helping out at various community events. Lisa has been working in dentistry for an impressive 25 years so far, having spent the last six here at San Pedro Smiles. 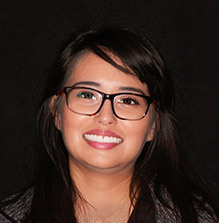 She earned her Associates in Applied Science from the University of Texas at San Antonio and then her Registered Dental Hygienist certification from the University of Texas Health Science Center. 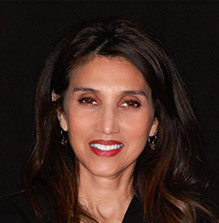 She has taken several continuing education courses over the years, including non-surgical therapeutic management, oral pathology, periodontics and oral medicine, and patient education. She is also certified in laser dentistry. Lisa’s favorite thing about her job as a hygienist is getting to educate and truly care about people. She feels good about what she does, which is changing patients’ lives and helping them achieve a healthy, beautiful smile! She also enjoys getting to know each patient and building trusting relationships over time. Originally from San Antonio, Lisa is married with two daughters, one of whom is in middle school while the other is in high school. When she has free time outside of the office, she enjoys spending time with her family and friends and getting involved with her girls’ schools. 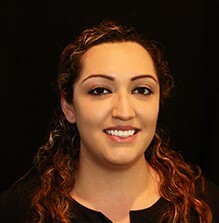 Tania has six years of dental experience and the majority of those years have been spent here at San Pedro Smiles. 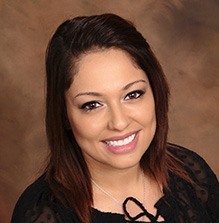 Originally from San Antonio, Tania is certified as a registered dental assistant (RDA) and in CPR. The best part of her job, Tania says, is being able to play a part in realizing patients’ smile goals. Tania and her husband have a cat, Lexi, and in her time outside of work Tania says she enjoys cherishing moments with her family and friends. With 4 years of experience in dentistry, Kristina says her favorite aspect of her job is helping patients walk out with a smile. She attended Concorde Career College and has advanced certifications in CPR. Kristina is originally from North Carolina and is married with three children. When she is not at the office, Kristina says she loves spending time with her family and watching her boys play soccer.